The tender is on the back burner for the foreseeable future, mainly because, as you say, smaller engines and boilers are more satisfying! I only built the Brit because I could: I don't care for trains that much! 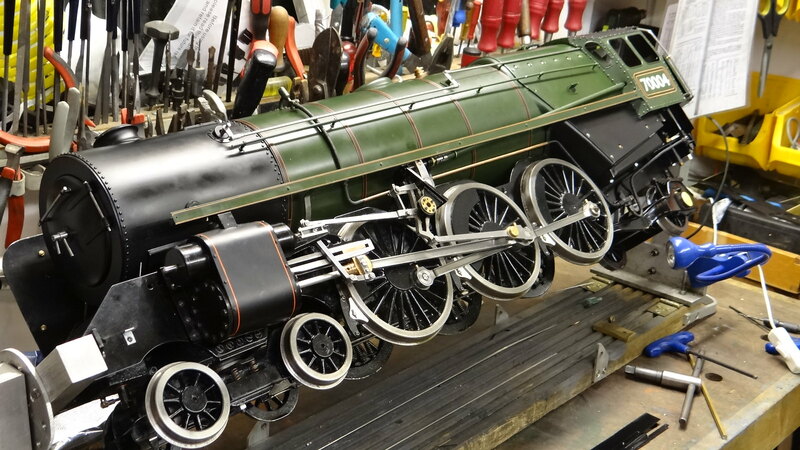 Probably the last picture of my Britannia before it goes on the sideboard to await the completion of the tender. It just need the LHS blinker. I have some other far more interesting projects to complete! Just beautiful! Very well done! Looks like its taking the curve just a little fast though! John, that is super sharp looking! Just very cool! Gorgeous John. What an accomplishment too! !